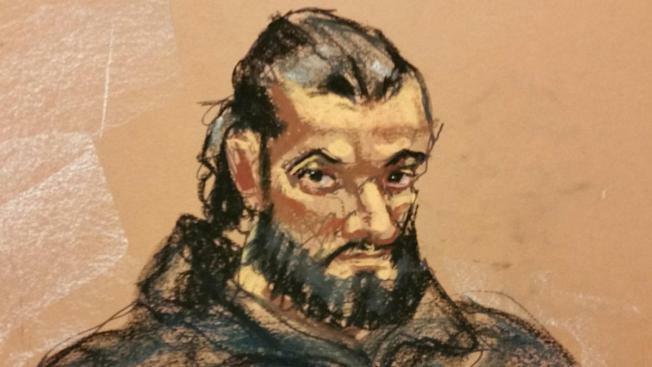 A permenant U.S. citizen who drove for a car service in New York City has been accused of traveling to the Middle East to join ISIS and talked about wanting to carry out an attack in Times Square. Jonathan Dienst reports. The documents said he made it as far as Turkey, but never was able to cross the border to Syria. He allegedly asked relatives for money on more than one occasion and had said he tried to cross the border 5 times but there was too much security. He also allegedly sent an associate files with sounds of gunfire and claimed to have lamost been killed by the "army." He later expressed support for ISIS after an attack in the French city of Nice killed 86 people and injured more than 400 others. The documents allege that he "expressed support for staging an attack in Times Square" during a conversation with an undercover FBI operative on July 19, four days after the attack in Nice. There was no indication that he ever did anything to carry out such an attack. Authorities also said that he expressed support for ISIS in posts on a Facebook account, making the page's profile picture an image of men with guns walking toward the visage of the terror group's flag. The cover photo of the page also featured images of ISIS symbols. Officials in court said that Naji drove cars for Uber, but the company denied that he worked for the service. His attorney, Susan Kellman, said that Naji had "a legitimate purpose" for being in Yemen. "I have no idea what my client said and what the confidential source said," she said. "He had a legitimate purpose for being in Yemen. He has family there." Naji is the latest area resident to be arrested on charges related to supporting terror groups. At least a half-dozen other have been accused of supporting ISIS or attempting to join the group since mid-2015.